Football season is here! Along with football season comes tailgating parties and along with tailgating parties, comes appetizers, drinks and of course…tailgating outfits. What makes the perfect tailgating outfit? For me personally, is has to be comfortable, has layers for a change in temperature and features the perfect, flattering jeans. I teamed up with Lee Jeans to share with you my perfect tailgating outfit, plus they share what makes a great tailgating jean. 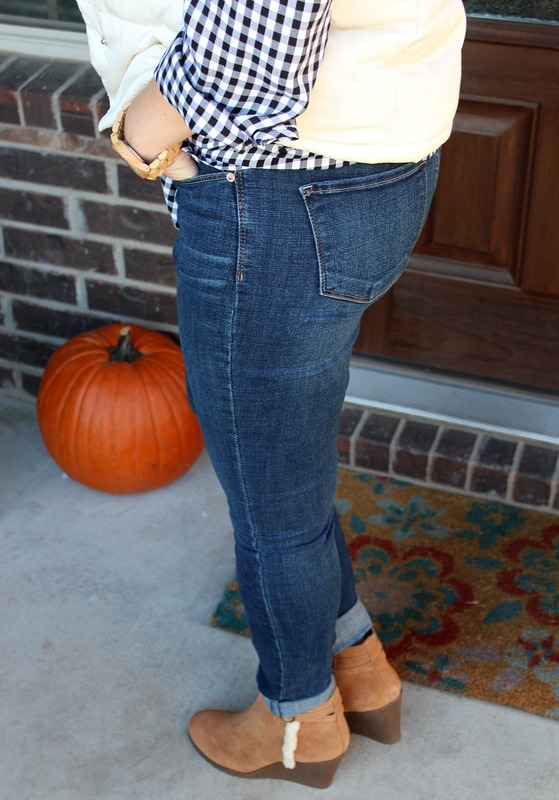 I’m wearing Lee Jeans Curvy Fit Lena Skinny Jean, which is part of their Modern Series. These jeans seem to understand my body and its curves. They have a no gap waist (incredible important to me), a little bit of stretch and they hug my curves. The jeans are made with 60% Rayon Stretch Denim, which gives them their stretch. I’ve also washed them once and they washed really well. I line dry all my jeans because they last longer that way. You can read my post on jean care 101 here. 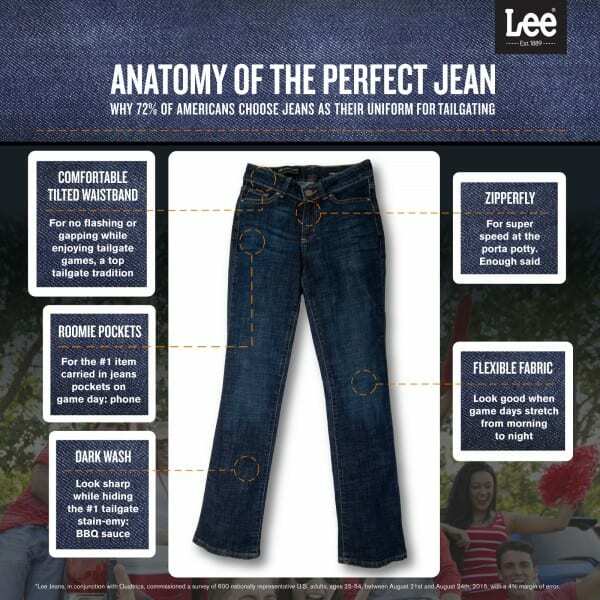 Lee Jeans breaks down the anatomy of the perfect jean and why 72% of Americans choose jeans as part of their tailgating attire. There you have it – that’s what makes the perfect jean for tailgating (and life in general!). 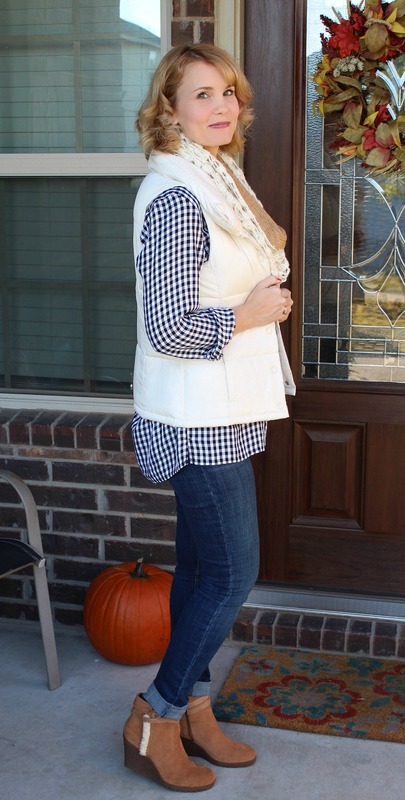 For my perfect tailgating outfit, I paired Lee Jeans with a button up gingham shirt, a white puffer vest, a scarf I borrowed from my daughter’s closet, and my new favorite pair of ankle boots from here. Are you ready to tailgate in style? 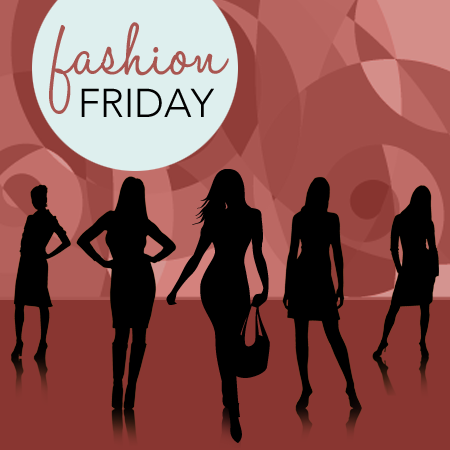 Share with me what makes the perfect tailgating outfit for you. Disclosure: Mom Fabulous received samples to facilitate this post. All opinions are my own. Perfect tailgating outfit! I love those wedge boots! They look so comfy! Great tailgating look! Your gingham shirt is just so perfect for fall . Might have to give these jeans a look! 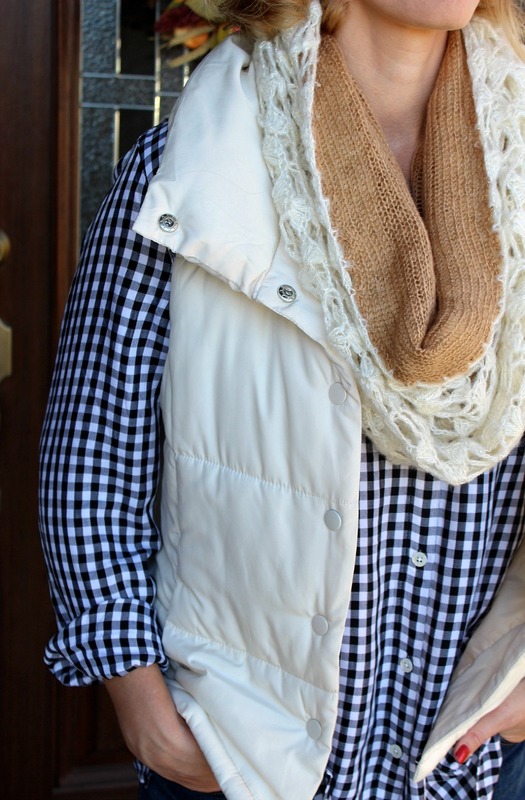 A perfect fall and football look!